Here at West Omaha Chiropractic & Sports Injury Clinic, we recognize and make use of your body's own ability to heal itself, enhancing that inherent ability with safe, gentle, conservative forms of treatment. One of the most effective and versatile of these modalities is also quite probably the most ancient. Acupuncture has been helping people feel and function better for millennia, proving itself time and time again in the treatment of an astonishing range of health issues and symptoms. That's why we're proud to offer this technique as a powerful complement to our other natural healing and pain management services. It's always reassuring to know that a healing modality has stood the test of time -- and acupuncture pretty much takes the prize in that department, with a track record of success spanning at least 5,000 years. This cornerstone of Traditional Chinese Medicine is based on the concept that energy travels through the body in a form known as Qi along 24 meridians, or pathways. When the energy flow is interrupted or thrown out of balance, the body experiences pain and illness. Inserting hair-thin needles at strategic points along specific meridians can redirect the Qi flow, relieving symptoms and normalizing physical function. Western medicine has developed its own understanding of how acupuncture works (which it clearly does). Studies indicate that the needles cause interactions between calcium and white blood cells that increase the amount of endorphins ("Nature's painkillers") in the bloodstream. It also alters the behavior of neural clusters that regulate nerve signaling, changing the way your body communicates with itself, while also stimulating localized inflammatory reactions to speed healing. In short, acupuncture is good for what ails you! ...And over 100 other health challenges. Multiple sessions are usually recommended to help you receive the maximum benefit from this form of care, even though you may experience noticeable improvement very quickly. The needles themselves will not hurt -- they're simply too thin, and administered with too much expertise, to cause pain or damage. A typical acupuncture session may last less than 30 minutes, although the initial evaluation and treatment will most likely take longer. 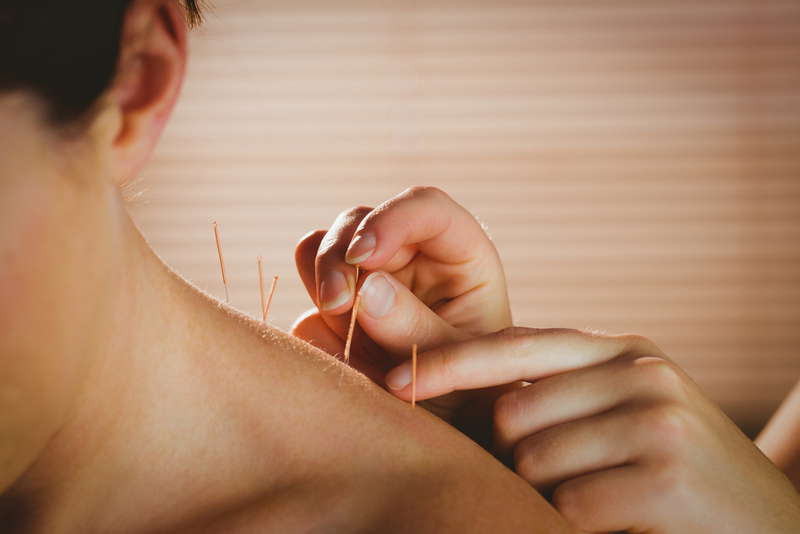 As effective as acupuncture can be, it isn't necessarily for everybody; certain health conditions may point toward another natural solution for your particular needs. The best way to find out whether acupuncture makes sense for you is to contact our clinic today at (402) 334-4700 to schedule a free consultation!